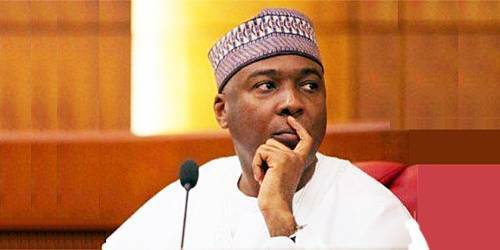 Senate president, Bukola Saraki was absent at the APC national caucus meeting that held at the presidential villa, Abuja on Monday. President Muhammadu Buhari, National leader, Bola Ahmed Tinubu, and the party’s national chairman John Oyegun were all in attendance. The Speaker of House of Representatives, Yakubu Dogara and members of the National Assembly also attended the meeting alongside the Governor of Benue State, Samuel Ortom who had recently vowed not to attend any political gathering pending the resolution of the farmers/herdsmen clashes.